Sign up for free and just shop with Kitbag.com as normal. Our average member earns over £300 cashback a year. Kitbag.com cashback can be earned simply by clicking through to the merchant and shopping as normal. Kitbag.com Cashback is available through TopCashback on genuine, tracked transactions completed immediately and wholly online. If you love the beautiful game, you can fuel your passion by getting your hands on all the clothing a gear you need in your life to support your favourite team or player. Kitbag are the globally renowned specialists and an authority on all things football, offering 100% official replica kits, as well as player and custom printing options which will allow you to personalise their football shirts. As well as selling quality replica club and international team kits, including shorts and socks, customers will also find football boots, training gear, equipment and retro shirts, as well as sportswear items like T-shirts, jackets and tracksuits. Students can take advantage of a 15% student discount, while they also offer all customers a 10% saving for Kitbag newsletter signups. Spend more than £50, meanwhile, and you can take advantage of Kitbag free delivery (standard) if you live on the United Kingdom mainland, which will see your items arrive within 1-3 working days of them leaving their warehouse. Check out the Kitbag sale section or read Kitbag reviews to see what others have said about products you are interested in. If you love saving money, get yourself signed up to TopCashback via this page and check out our cashback deals and Kitbag discount codes, if available. Whoever you support, you can grab yourself an official replica shirt of your favourite football team from Kitbag.com. Fans of Premier League football teams will find men's women's, kids', baby and unisex kits for the likes of Chelsea, Liverpool, Arsenal and Tottenham Hotspur, meaning the whole family can show their support. If you have a favourite foreign side, they stock kit for a wide range of leading La Liga, Serie A and Bundesliga teams, including European giants like Barcelona, Bayern Munich, Juventus and Inter Milan, while you can also buy the team shirt of your favourite MLS, Dutch, Belgian, Portuguese or Argentine Primera Division side. Kitbag sell international shirts too if you support England or the Republic of Ireland, while if you are a fan of giants of European and world football, you will find Spain, Germany, Italy, Brazil and Argentina tops. Don't worry if you support one of the lesser known nations in the footballing community as Kitbag also stock Cameroon, Ghana, Japan, Poland and Turkey shirts, among others. 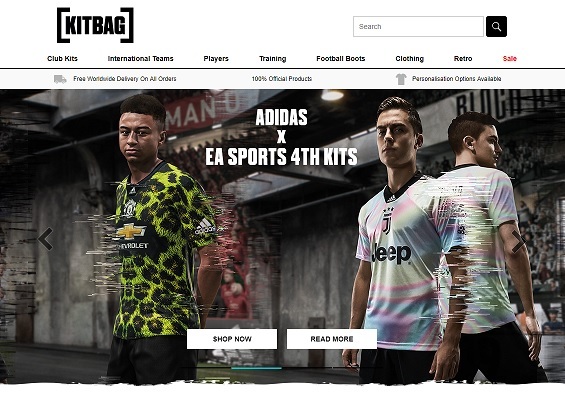 Founded in Manchester in 1999, Kitbag was acquired by American company Fanatics in 2016 and now supports their US operation, focusing on partnerships with the biggest teams and sporting organisations in the world. As the global leader in licensed sports merchandise, Fanatics delivers to over 180 countries and operates stores in more than 12 languages. Kitbag has the rights to operate the official online stores of the likes of Manchester United, Manchester City, Real Madrid and Paris Saint-Germain, while also partnering with the NFL, NBA, NHL and MLB in America, England Rugby, Formula One, Team GB and The Ryder Cup. If you idolise a particular player, you can show your support or even dress like them thanks to Kitbag. Whether your particular hero is a world star like Cristiano Ronaldo, Lionel Messi, Neymar Jr, Eden Hazard or Harry Kane, one of the best in the Premier League, such as Mo Salah, Sergio Aguero, Kevin De Bruyne, Romelu Lukaku or Dele Alli, or a star abroad, be it Gareth Bale, Luis Suarez, Edinson Cavani or Kylian Mbappe, you can buy replica club and international team shirts, boots, training gear and more. Whoever your favourite player is, you can emulate them for less with our cashback deals, while you might even be able to make double savings if we have any discount codes for Kitbag available. If you love playing the game and want to take your performance to the next level, Kitbag sell the latest and best football boots around from the leading manufacturers. Their range of Nike boots includes Mercurial, Hypervenom and Tiempo, which you can search for by size, while if you find Adidas suit you better, you can choose from Nemeziz, X and Predator models for men, women and kids. Opt for Puma ONE or New Balance Furon, while you will also find CR7, Adidas Messi and Nike Neymar Jr player boots if you want to emulate your soccer hero. Whether you need boots for soft ground, firm ground or artificial surfaces, you are sure to find the perfect fit. If you are after some training gear, meanwhile, you can buy drill tops, midlayers, hooded jackets, squad pants and football socks, while those in need of some new equipment will discover footballs, shin pads, goalkeeper gloves and a range of bags, including backpacks, shoe bags and kitbags. As well as kits, boots and training gear, those looking for lifestyle clothing will find plenty of sportswear and footwear options on the Kitbag website from leading brands. If you are into your fitness or enjoy keeping active, you can shop for running shorts, training pants and T-shirts for hitting the gym, while you can pick up everything from hoodies, sweatshirts and polos to padded jackets ideal for the outdoors, plus hats, scarves and gloves for keeping yourself warm in the winter. Those shopping for casual shoes, meanwhile, will be able to choose from trainers, high-tops and flip-flops. 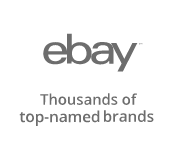 Shop for kids' clothing, while you can also search team-branded fashion items, whether you are a fan of a Premier League, La Liga or Serie A team. Don't forget to take a look in the Kitbag sale section for hot deals on clothing. Kitbag is Europe’s number one online store specialising in all things football, stocking a massive range of playing kit, training gear, fan apparel and sporting equipment. 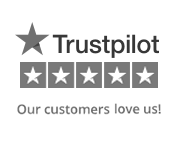 Trusted by the best to bring you the best.